Happy Saturday! I’m about to ask you the most cliche question ever but, um… can you believe it’s the last weekend in August? How are you spending it? 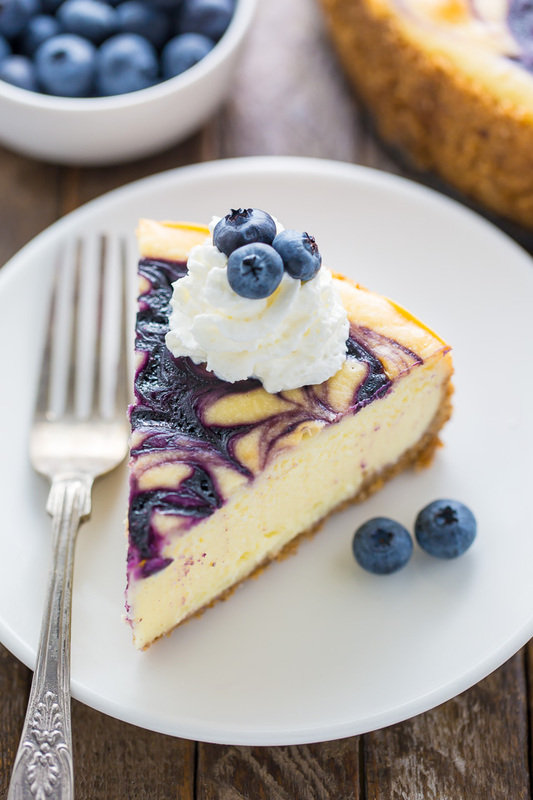 Baking a white chocolate blueberry cheesecake, perhaps? I baked one for a picnic last weekend and it totally stole the show. I also baked some blueberry hand pies which I’ll be sharing with you TOMORROW! I’m working on a few exciting FALL inspired recipes today (there are three giant cans of pumpkin on my counter as we speak), but first, a salute to sweet and juicy Summer berries! 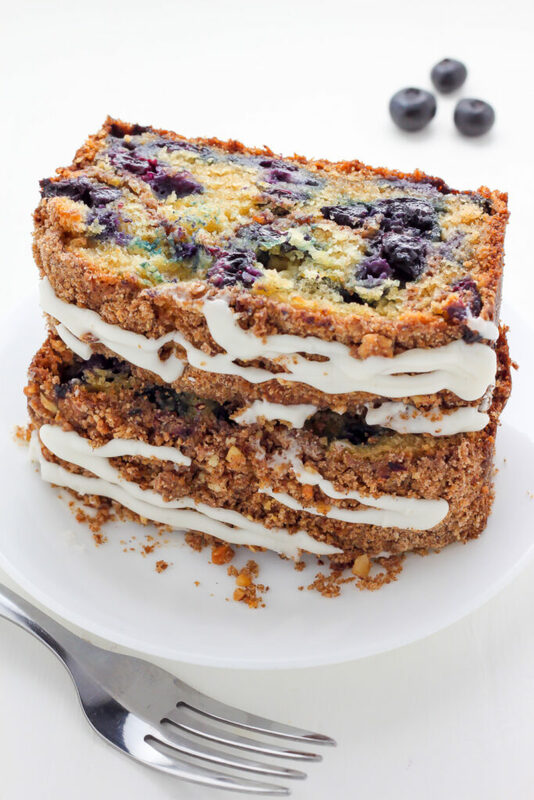 Here are 17 of my favorite Summer berry recipes… which will you bake first?! My Raspberry Peach Muffins are sweet, simple, and perfect for a Summer snack session! 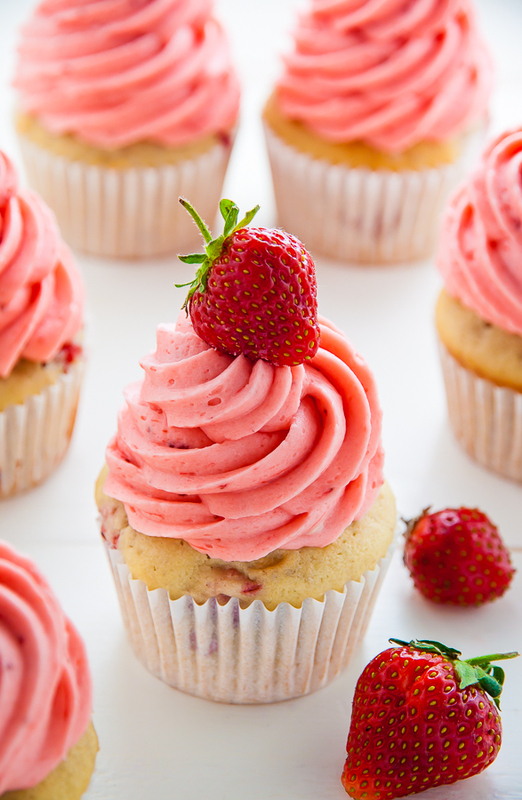 How pretty are these Fresh Strawberry Cupcakes? Delicious too! 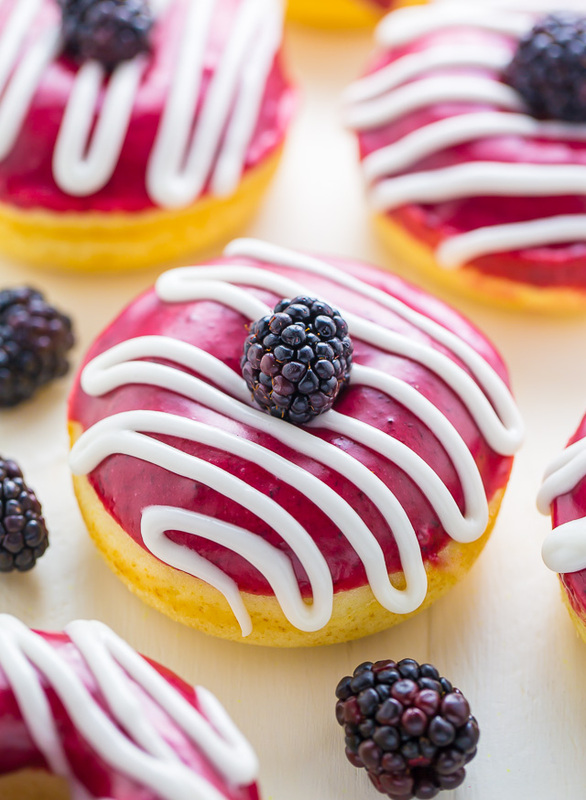 Can you believe these beautiful Blackberries and Cream Donuts bake up in 10 minutes?! 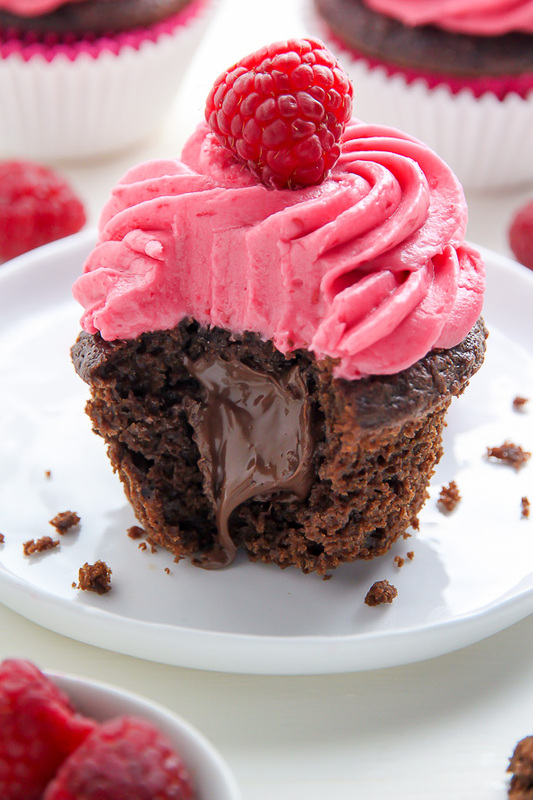 If you’re feeling indulgent, these Nutella Stuffed Chocolate Cupcakes with Raspberry Frosting are a MUST. 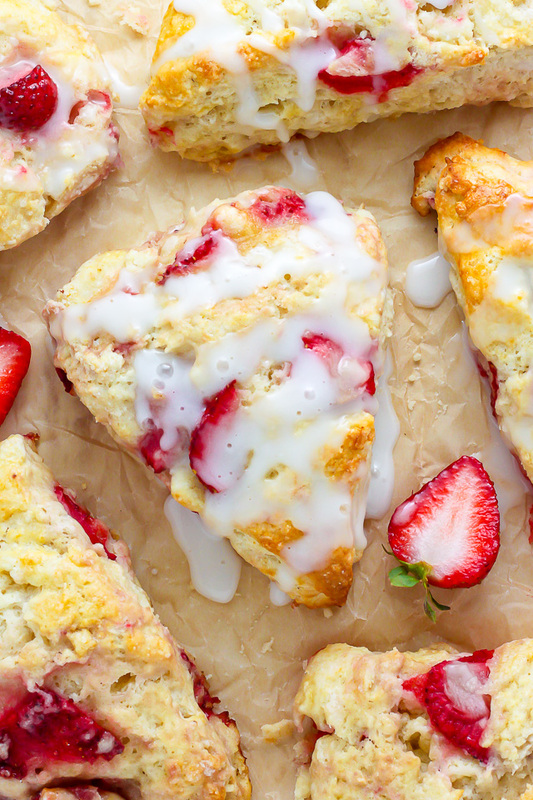 Strawberries and Cream Scones are Summer breakfast perfection! 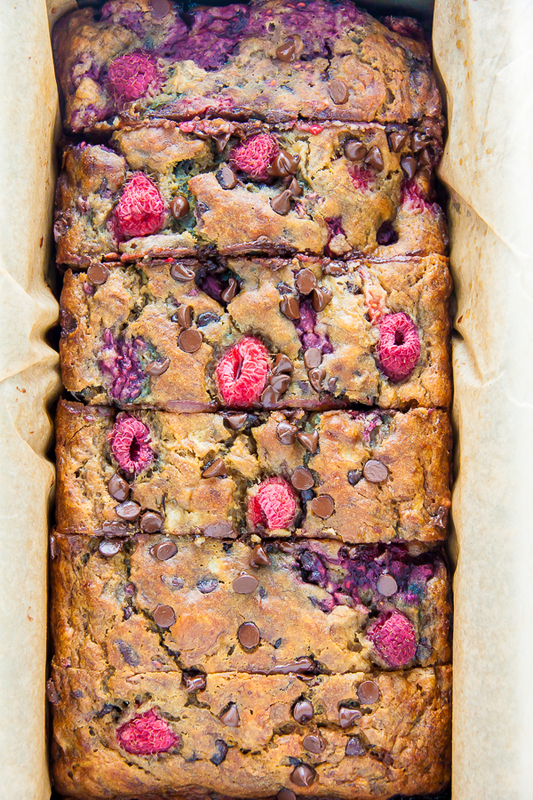 This Healthy Raspberry Chocolate Chip Banana Bread is sweet, moist, and made with ingredients you can feel good about! 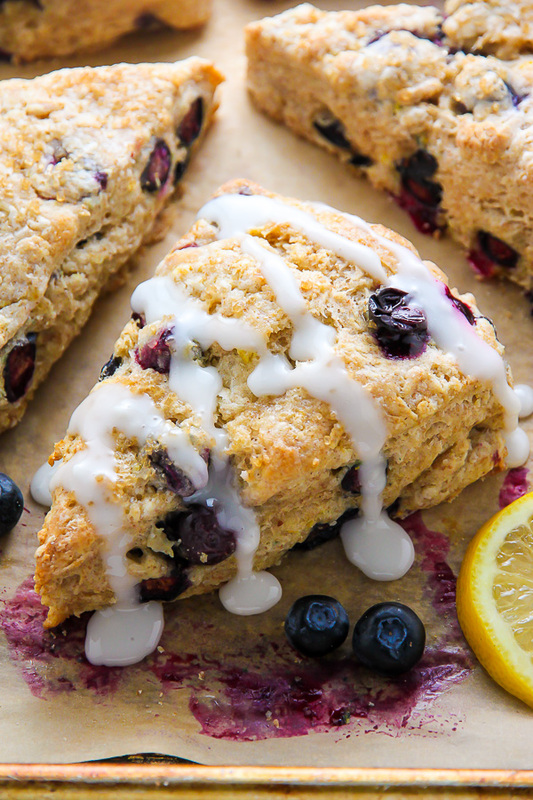 Crunchy yet tender Greek Yogurt Lemon Blueberry Scones. Perfect for afternoon tea or a casual brunch. 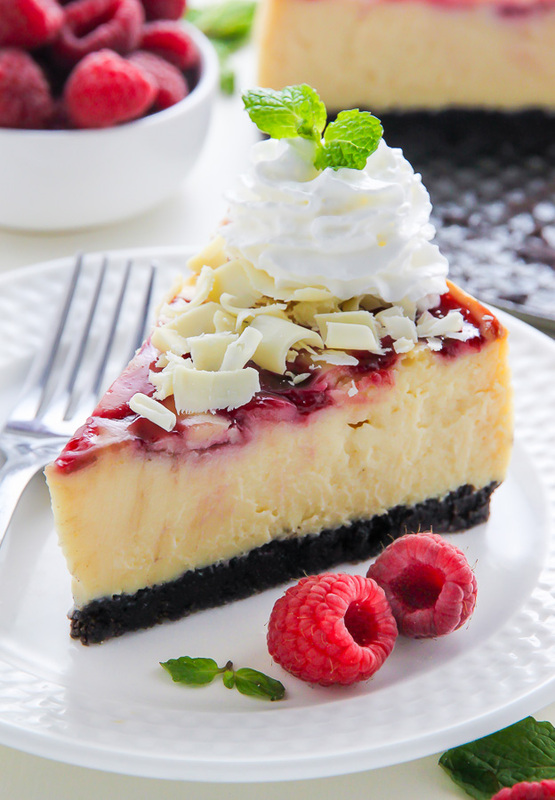 This White Chocolate Raspberry Cheesecake is so impressive everyone will think it’s from a fancy bakery! Trust me. My favorite Summer breakfast? 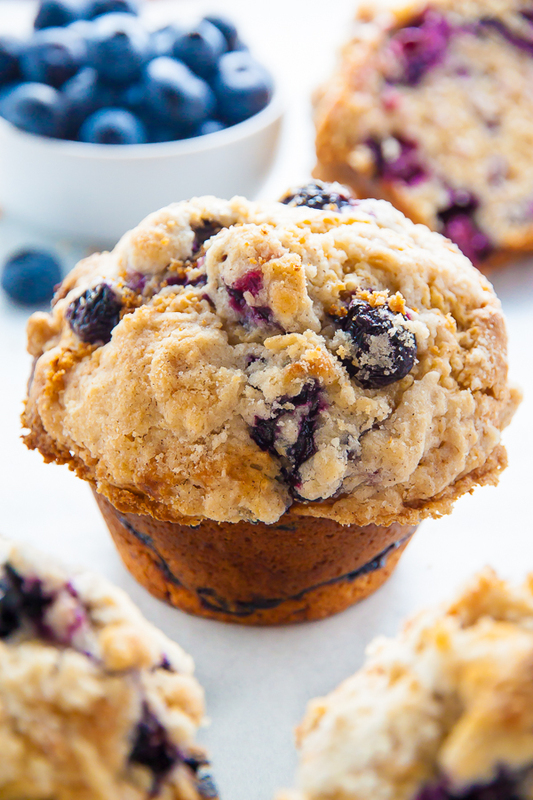 Jumbo Blueberry Crumb Muffins! So buttery and delish. 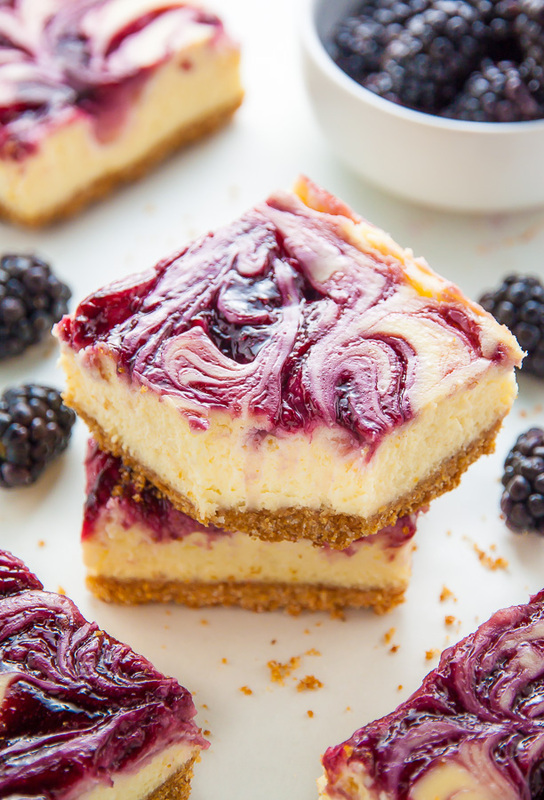 If you’re looking for a dessert that’s perfect for serving a crowd, these Blackberry Cheesecake Bars are for you! 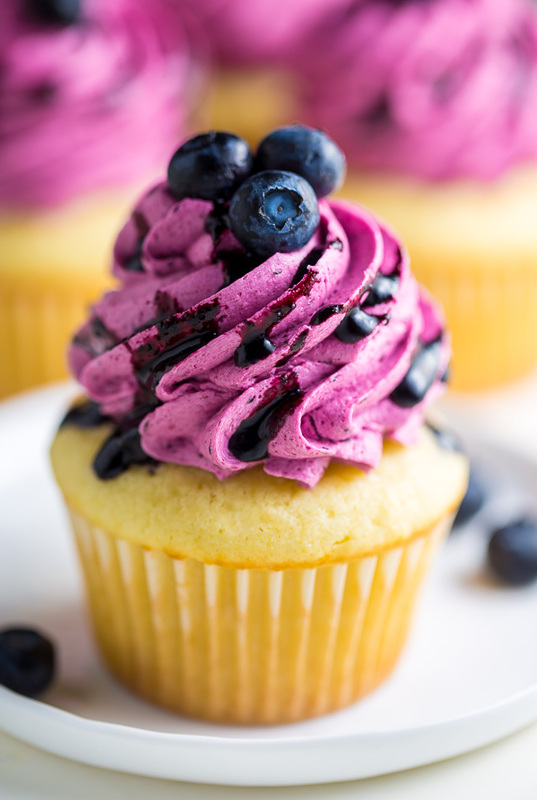 Hello, beauty queen: my Lemon Cupcakes with Fresh Blueberry Buttercream are show stoppers! 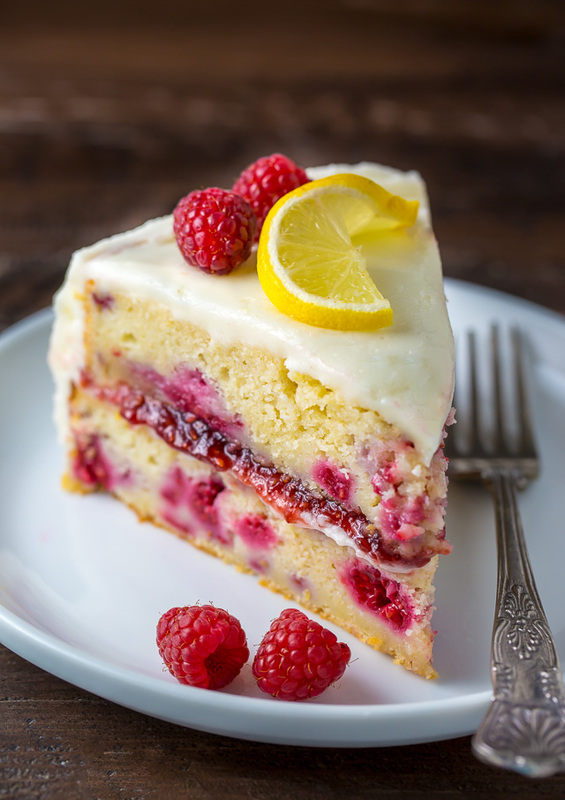 My Lemon Raspberry Cake has already won so many hearts this Summer! 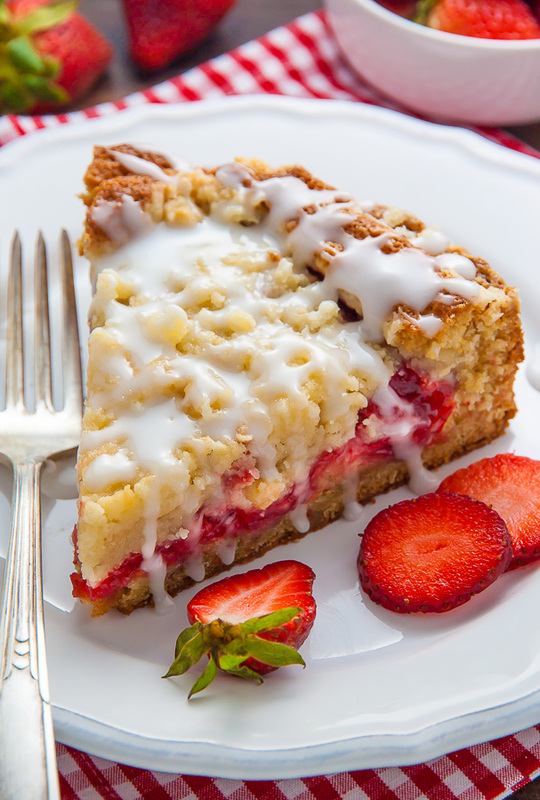 It’s moist, sweet, and exploding with fresh raspberries in every bite. 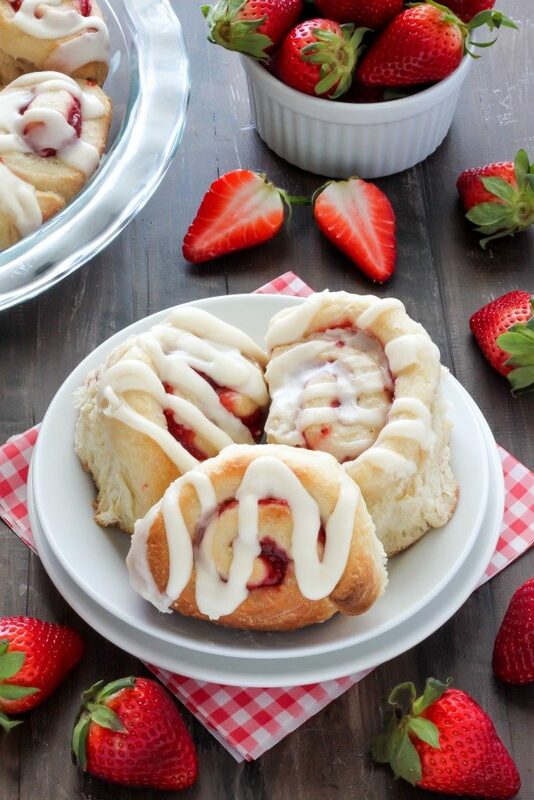 If it’s comfort food you seek, Strawberry Rolls with Vanilla Glaze are your answer. 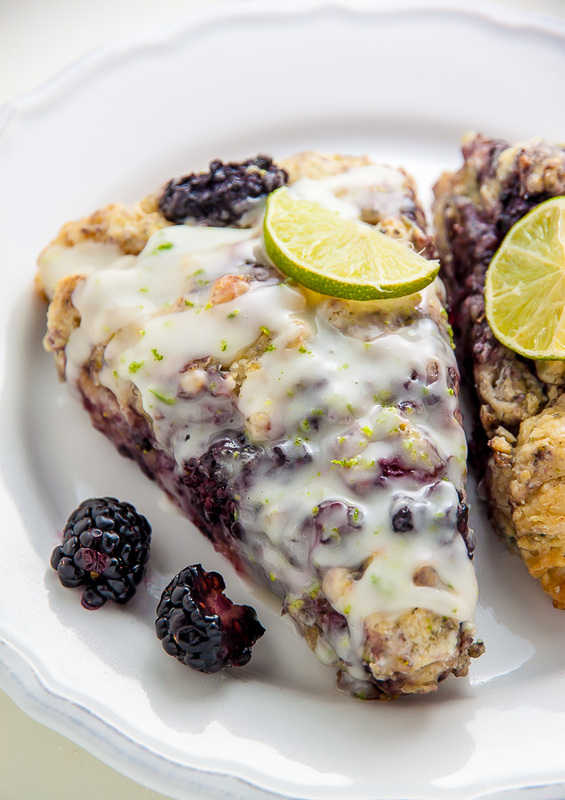 And finally, the recipe I probably make most often, Blackberry Lime Scones. 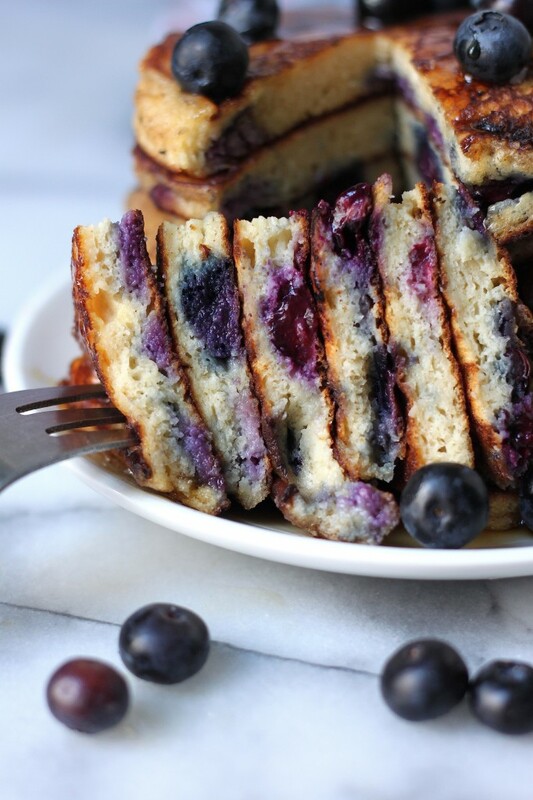 They’re a little crunchy, loaded with fresh blackberries, and covered in lime glaze. Nom. These recipes look sinfully good. I will try some of them soon. I only come across your site a couple days ago and I think I am hooked after making your perfect vanilla cupcake. Have a great day. Hello gorgeous photos and amazing looking Beery recipes! I think I’ll try all of the above flavor variations. This is absolutely magnificent, scrumptious, delicious, super yummy desserts. 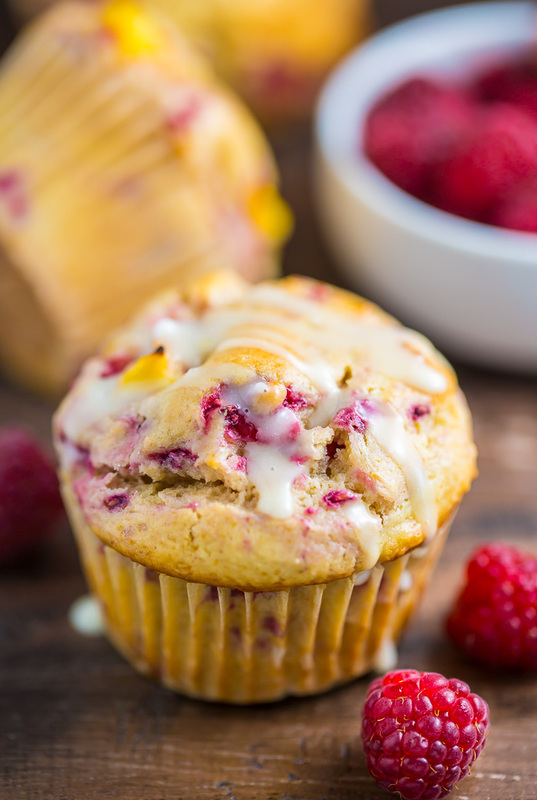 Raspberry peach muffins I think would be my favourite! Thx for sharing Ashley. I had a similar raspberry peach muffins at a restaurant recently and found myself craving it and wondering if I could recreate it today.